ThriveCart offers vendors a wide range of payment options for their products and services. One option we frequently get asked about in support is if a customer can choose how much they pay when checking out. The great news is that ThriveCart does offer this payment option and you can easily set this as your payment option or include it alongside existing payment options (for example, you may offer a fixed price AND an option for the customer to choose how much to pay). 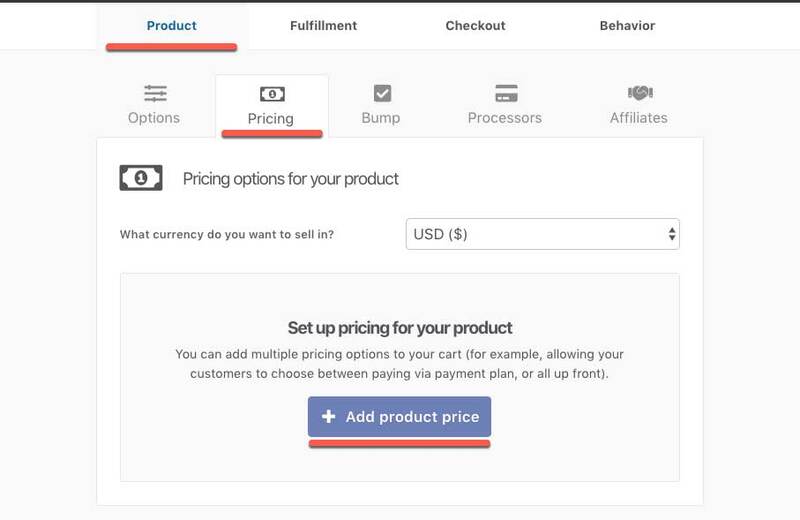 To get started, you’ll need to edit your product (or create a new one) and go to the Product > Pricing tab. You’re going to click the Add product price (or add new pricing option) button. From the modal window, you’re going to want to select the payment type of Pay your own price. You’re going to have a couple of options to complete. The first is the minimum price the customer has to pay. This can be zero, or you can set a minimum monetary amount. 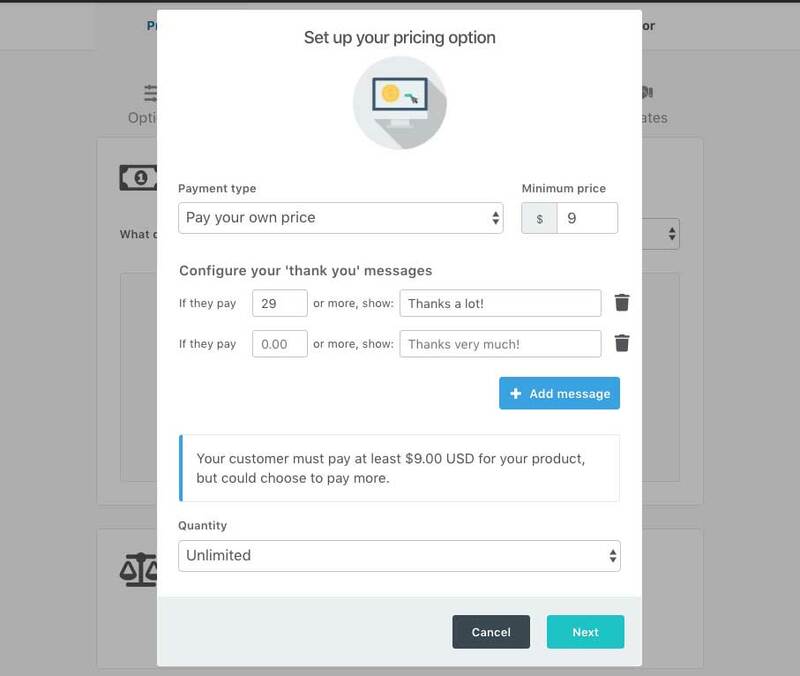 You can also create some customised messages that will appear under the field at the checkout, if they enter a specific amount or more in the price field. 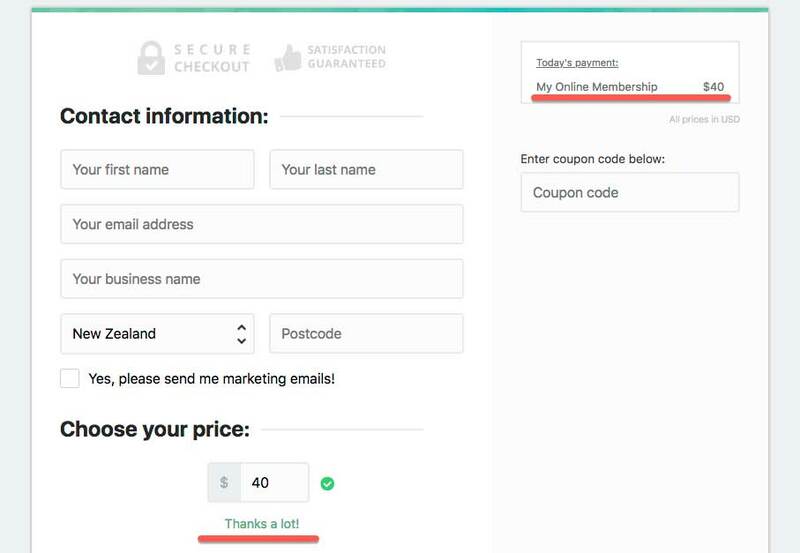 This is great if you want to add a personalised thank you messaged based on what they’re choosing to pay. The final step is to give your payment option a name (this will show on the checkout page if you offer multiple payment options). So now at the checkout, the customer will have the ability to choose their own price to pay for your product. They will need to enter a minimum of what you’ve set and if they enter an amount that triggers the custom thank you message, this will be shown too. The order details are also dynamically updates when they enter their chosen amount. As noted, it looks great when partnered with other payment options (the field only shows when it’s selected). If you have any questions, please don’t hesitate to get in touch with support directly.